Sea Watch Foundation » Results of the National Whale and Dolphin Watch 2017! The results of the 2017 National Whale and Dolphin Watch are in! 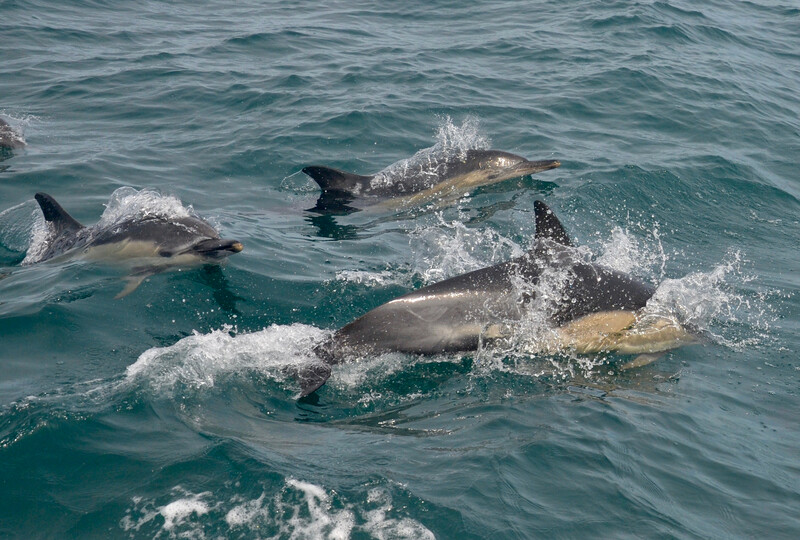 Short-beaked common dolphins seen in Mount’s Bay, Cornwall. Photo by Rebecca Knee on board Marine Discovery Penzance. 2017 was the sixteenth year that this huge citizen science scheme had taken place and clearly the event is building on popularity year on year. “It’s so important for people to join in helping us to track whales, dolphins and porpoises in UK waters. The Sea Watch Foundation database holds hundreds of thousands of records which are used by scientists and governments to inform research and policy on these wonderful animals” says Kathy James, Sightings Officer for Sea Watch. “By taking part, people are directly contributing to their conservation”. Aside from the expansive effort put in by volunteers in 2017, there were also a huge number of whale, dolphin and porpoise sightings reported as part of the event. 1,410 records of cetaceans, the collective term for whales, dolphins and porpoises, were reported from land and at sea. 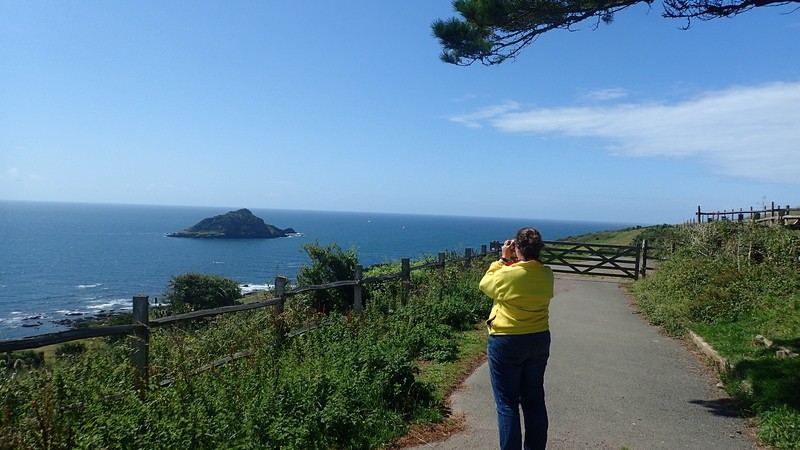 A volunteer watches over Wembury Point, South Devon. Photo by Devon Wildlife Trust. “The wonderful thing about watching for whales and dolphins in the UK is that you don’t necessarily have to get on a boat to see them” adds Kathy. More than half of the reports received came from land-based volunteers stationed at one of 108 survey sites or those who were lucky enough to spot a cetacean as they went about their other business. Forty-eight vessels were also involved with the event, from pleasure craft and fishing vessels to ferries and cruise ships. The reports received during the 2017 National Whale and Dolphin Watch amounted to around 6,500 individual animals “captured” by the survey, a powerful testament to citizen science. 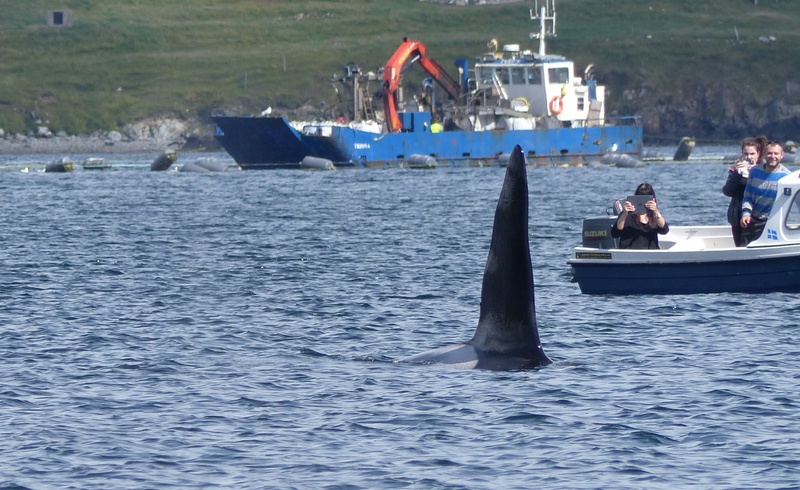 A close encounter with a killer whale for these boat-users in Shetland! Photo by Rhona Clarke. This most recent effort also showed that on average around the UK, a cetacean could be spotted once an hour! North and East Scotland, South Devon, Cornwall and North-east England all had a greater sightings rate than the national average. These excellent cetacean-spotting areas clocked up between 1 and 5 animals per hour on average per site. Eleven different cetacean species were seen in UK waters during the National Whale and Dolphin Watch. All in all, 29 species of cetacean have been recorded in UK waters although only fourteen are recorded regularly. Seeing a good proportion of these in just nine days goes to show what people can achieve when they work together. Sea Watch Foundation are seeking volunteers to come forward to take part in the National Whale and Dolphin Watch 2018 this summer, which takes place 28th July – 5th August. Surveys can take place from your favourite or closest bit of coastline and boat-users are urged to get in touch too. No experience is necessary as the team at Sea Watch will offer you training and advice on how to take part.